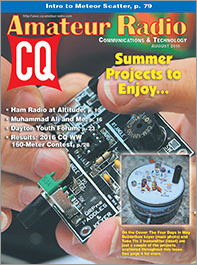 The August issue of CQ is chock-full of summer project articles as well as events, both on and off the air, that showcase ham radio's variety, vitality and unique ability to bring people together. 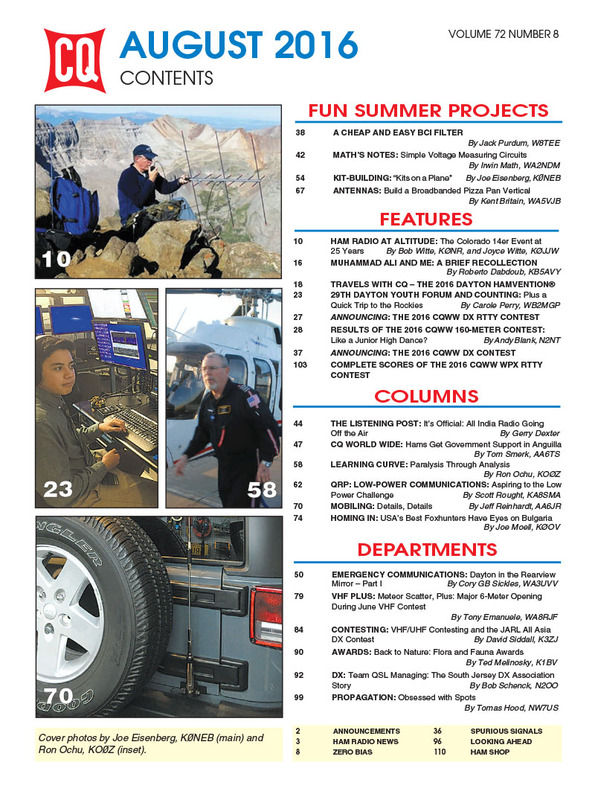 We help celebrate the 25th anniversary of the Colorado '14er operating event, which features portable operation from many of Colorado's 54 peaks that rise higher than 14,000 feet above sea level. 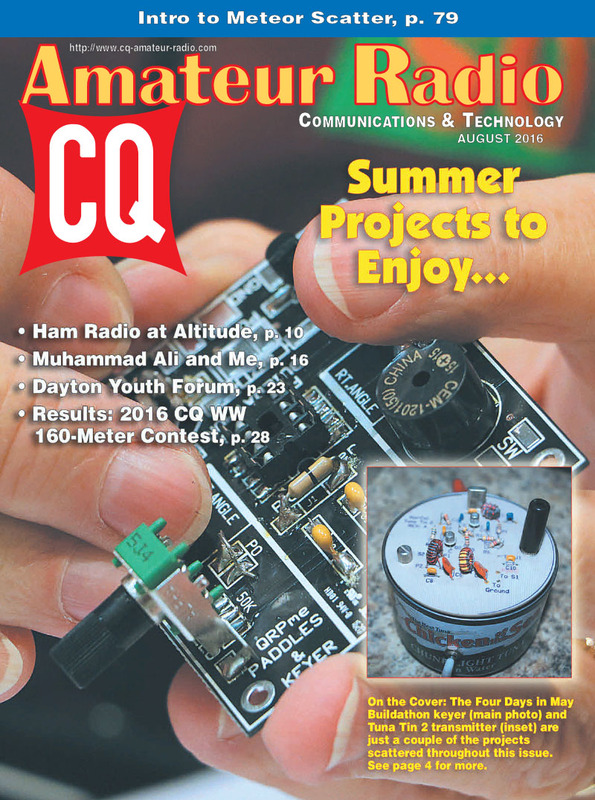 KB5AVY recalls a chance meeting and photo session with Muhammad Ali – made possible by ham radio – and WB2MGP takes us inside the 29th annual Dayton Youth Forum, one of several Dayton-related articles in this issue. Among our project articles, W8TEE shows us how to make a cheap and easy filter for broadcast interference and WA5VJB turns pizza pans into a broadbanded VHF/UHF antenna. Plus, we have results of the 2016 CQWW 160-Meter Contest and the rules for all three weekends of the 2016 CQ World Wide DX Contest – RTTY (September), SSB (October) and CW (November). 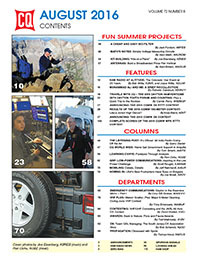 We also welcome new QRP (Low Power) Editor Scott Rought, KA8SMA, whose first column appears in this issue. Finally, we go foxhunting with the competitors at the US championships, back to nature with Flora and Fauna awards and look skyward with a beginner's guide to meteor scatter!